While a senior in high school, I applied for appointment to Senator Fulbright, a Congressman from Arkansas, for appointment to the United States Air Force Academy. I did well with the academic portion, but wasn’t up to par physically. My parents and I visited the Air Force Recruiter in PineBluff, Arkansas where I signed up for the 90 Day Delayed Enlistment Program. In truth, there were no monies available to go to college. That left one opportunity: the military, particularly the Air Force. Dad frowned on the Army, even though he was once part of the Arkansas National Guard, and feared I might get caught up in combat in Vietnam. I never saw the number assignment by Selective Service. I’m glad I enlisted. It is a legacy I will never forget. On Nov 19, 1970, I entered Air Force Basic Training and was assigned to Flight 1355, 3727th Training Squadron, under the instruction of SSgt Houston, TSgt Medina, and TSgt Rhoades. As the night sky darkened, I became just one more recruit in a succession of recruits. I began to giggle under my breath until I hear the deep baritone voice of a tall black man who set me back in order. My nerves suddenly frayed, but I kept in step. SSgt Houston became a great inspiration to me throughout my training, and I enjoyed the training. 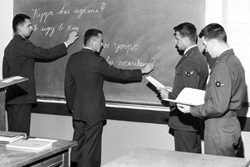 Midway through Basic, I volunteered for the Linguist Program, not knowing what it held. I made my own decisions. I graduated from Basic Training on Jan 1, 1971 and entered ‘Casual’ until orders were cut for Language School. I finally received my orders for training as a Vietnamese (Hanoi Dialect) at DLISW, in El Paso, Texas and began in Feb 1971. With my training completed in November 1971, I was sent to Goodfellow AFB Texas to attend Specialized Training for six months. Additionally, I received training in Cabin Depression in Mineral Wells, Water Survival in Florida where I discovered the Air Force had its own Navy, and then two weeks at Survival Training in Washington State. My next orders were for OLBB, 6948th SS, at Fort Mead, MD, beginning May 1, 1972 as a Cryptologist/Transcriber. In late October, early November, I received word that there were two places I could be assigned: Nakhon Phanom Royal Thai Air Force Base (NKP), Thailand for 18 months as a Ground Operator at the Det 3, 6994th SS flying or Danang AB, Republic of Vietnam. I chose Det 2, 6994th SS. 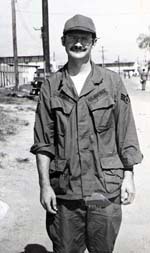 I took 30 days leave, and arrived in Vietnam on Dec 12, 1972 to begin my training as an airborne radio operator. The unit closed Feb 28, 72. I was reassigned to Det 3, 6994th at Ubon RTAFB, Thailand. In August 1972, I learned my father-in-law was in critical condition and was released from Det 3, 6994th, and sent back to the States on Emergency Leave. Not too long after I arrived my father-in-law died. I was in “assignment limbo” for over 30 days. I finally received orders to return to OLEB, 6948th at Fort Mead. I put in for another language, and my last assignment was DLI West Coast with Arabic Language Training. That was my last assignment. I requested a “hardship discharge” due to my mother-in-law’s health. 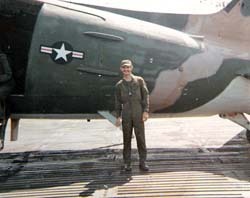 I participated in Combat Operations as a Vietnamese Linguist flying combat sorties from December 1972 through February 1973 aboard unarmed WWII vintage EC-47 aircraft as a member of Detachment 2 and 3, 6994th Security Squadron. Our motto was ‘Unarmed, Alone, and Unafraid.’ In Vietnam, we operated out of Danang AFB (commonly called “Rocket City”) and in Thailand at Ubon Royal Thai AFB. 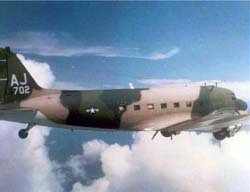 Our mission was to fly above and all over Southeast Asia locating and identifying the enemy using airborne radio direction finding (ARDF) techniques and collecting intelligence information in support of ground combat commanders. As a result of our work, many attacks on friendly forces were mitigated and it has been reported that up to 95% of the B-52 attacks in Vietnam were based in part on information collected by our squadron. While in DaNang I experienced a “”Friendly fire” experience on Jan 6, 1973. I awoke to the sound of 500 pounders exploding just across the street in the hangers situated in “Gunfighter.” I rolled out quickly from my bunk thinking it was the NVA Rocket Battalion giving us “what-for.” I found out later a Marine colonel and his F-4 squadron dropped his remaining ordnance with heavy cloud cover and did not even realize he was bombing the Air Base and destroying the giant petroleum drums and many of the OV-2’s and OV-10’s aircraft which were in hangers. As I understand it, the Marine colonel never flew again and the only sound he heard was a pencil sharpener and typewriter to remind him of his faux pas. To date, I have found no comments regarding this episode, but I remember it vividly. I also experienced other several close calls while in Vietnam. One was when a 122mm Soviet made rocket struck right behind the hanger where I was preparing my radio. I heard the explosion, but did not realize it was so close. I turned around to let my AMS know I was ready and noticed all but the pilot, copilot, and navigator were gone. I ran out the back of the aircraft taking my headsets with me and almost gave myself whiplash. I jumped onto the tarmac and took cover. On the day the Cease Fire was to be signed, I was in the Operations Quonset Hut. We intercepted a North Vietnamese Message that indicated there would be a rocket attack at midnight, and notified our HQ in Saigon. Those in Saigon blew us off. At midnight, one of our aircraft on the tarmac was hit by two or three 122mm Rockets and completely destroyed. When time came for the signing of Peace Accord in Paris, the NVA Rocket Battalion fired all of their rockets which passed over us and hit Monkey Mountain. After it was all over, it was surreal. There was a stunning silence in the air…no more AC-47, AC-123, or AC-130 firing from the around the perimeter, no Vietnamese Artillery Rounds being fired. All was quiet. The sun was coming up on the horizon, the sky was bright blue, and only a few clouds filtered by. In February 1972 we began breaking down the unit, and afterwards, celebrated at a Korean Restaurant nearby Gunfighter. In the early hours of Feb 28, 1972, Sgt. Sullivan, an SP, and I settled down on the duffle bags prepared for loading later that day. We sat there in the darkness and could see that the fighting was not over: artillery fire, possibly armor units, and a light show to outdo all light shows were occurring. We were out of it, but the North Vietnamese were just settling in against South Vietnamese units. As we prepared to say goodbye to Det 2, 6994th Security Squadron, we noticed that the United Nations troops had arrived. As we made our way to the KC-130, I notice a well-dressed North Vietnamese Officer, well-polished, with a scowl on his face, and with him was a Viet Cong soldier observing. As we boarded, I tried to put it all behind me as we left a “war zone” and enter “the real world” Air Force. When I arrived in Ubon Royal Thai Air Force Base it was a whole new world, and with it, more flight time over combat areas in Southeast Asia. The duty station at the OLBB, 6948th Security Squadron, located inside the National Security Agency stands out. The work challenged me and those above me, both military and civilian, provided me an opportunity to work independently. I thank those people who schooled me, showed confidence in me, and considered me more than just a low ranking individual in the Air Force chain of command. In one way, I wished I could have stayed and worked there as a civilian. My time in Vietnam and Thailand as an Airborne Voice Intercept Operator stands out the most. 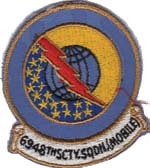 I had the privilege of flying 46 combat sorties with the 6994th Security Squadron and contribute to the most highly decorated squadron in the history of the current Air Force Intelligence and Surveillance Agency and all of its predecessor organizations. I received no individual medals or awards received for Valor, but I did receive a “V” for Valor on my Outstanding Air Force Unit Citation for my participation with the 6994th Security Squadron while in Vietnam. Among the medals, awards and qualification badges, the one most meaningful is the award for the Permanent Crew Member Badge I received for flying combat sorties while serving with Det 2, 6994th Security Service. This award was most memorable because it was “permanent award” much like the “combat infantry badge” which was earned by Army Infantry troops in Vietnam. I consider it to be higher than even the single Air Medal I received. This is a difficult question to answer. However, I believe it would be my TI, SSgt Houston who served as one of my Training Instructors in Basic Training because of his patience, humor, and reflection of the honor. Without him, I might not have made it through Basic Training. He proved a great mentor as well as Training Instructor, and had great patience even while in Basic Training. I recall how proud I was seeing him as a Master Sergeant in an Air Force Now Video while I was at DaNang Vietnam. Two years had passed, and the last time I saw him in person, he was a Staff Sgt. I’ve tried to locate him, but I don’t even know his first name. He was a great inspiration. That particular incident would have to be in Basic Training in November 1970, when I became a member of Flight 1355 under the guidance of SSgt Houston and TSgt Medina. During the first week, Medina called the flight together and asked for “volunteers for a very special assignment.” I raised my hand, as did others. Come to find out it was to perform latrine duty: Cleaning showers, mopping floors, scouring commodes and sinks. I still laugh at how naive I was back then. 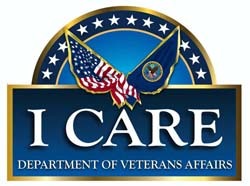 The highlight of my profession outside military service involved my 25 years of commitment to serving veterans for the Department of Veterans Affairs working at VA Hospitals. I served at Overton Brooks VAMC, Houston VAMC, Amarillo VAMC, the Texarkana VA Outpatient Clinic, and the Albuquerque VAMC. It was a wonderful experience to give back to those who gave so much to their country while serving in the U.S. Military. I felt a great affinity for those in every branch, and even two gristle Marine veterans who served at Iwo Jim counted me as one of their own, and often asked if I was at Iwo. That was a great honor for me and I will never forget them. Discipline, commitment, honor, sacrifice, and fellowship from my time in the military have followed me even to where I’m at now. Forty years have elapsed since I first went into the military. I’m glad I did. That camaraderie continues every time I shake the hand of other military service men that have come before me in appreciation of their service. Build on the examples of those who served before you. Get to know those unknown heroes seen every day. Learn about the stories they would like to share. Be guided by your leaders and be patient. Even if you don’t meet your goals for rank or assignment, be thankful and help others achieve their goals. I have learned from the old expression, “what goes around, comes around”. Others taught me. It is my honor to encourage those who are still in the battle to protect America. 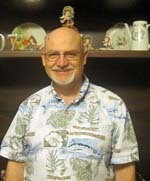 Togetherweserved.com has helped me expand my horizon. One of my greatest interest is to give recognition to those who will not be recognized in today’s world without the assistance of others, to be aware, that despite the deactivation of my units, to keep them aware that life is like Forrest Gump says “Life is like a box of chocolates; you never know what you’re going to get.” Forrest Gump became a hero even if his only desire was to get Bubba out of harm’s way and took everyone back until he found him.